Although it may be too early to start thinking about day to day use of anti-wrinkle cream, preventative skincare is incredibly important. It can be either skincare concentrated in antioxidant molecules, such as plant polyphenols in our Crème prodigieuse® range, in order to fight against free radicals (the main factor responsible for skin aging); or skincare with a daily SPF. Ensure you’re also supporting healthy skin cell regeneration with a daily skincare regime using nourishing cleansers, toner, moisturiser and a mask as needed. You’ll thank yourself in the years to come. It may not be time to get on the serious stuff yet, but early signs of skin ageing can start to appear in our twenties. Skin starts to lack radiance and can be more prone to dullness and dehydration. Choose products that are focused on keeping the skin hydrated and radiant - ingredients like hyaluronic acid are highly effective for this. Adding a serum and eye cream is a great place to start; try our Radiance Anti-Ageing Care Nuxellence® with Passionflower morning and night for an intense boost of hydration, alongside our Anti-Ageing Eye Contour Nuxellence® to help your skin cells maintain optimum energy levels(1). Fine wrinkles can start to crop up in our thirties; typically ‘expression lines’ around our eyes and mouth which appear primarily as a result of poor sleep and pollution. But it isn’t all bad news, we can help to slow down their appearance with the introduction of light anti-wrinkle creams to smooth and moisturise these areas. Our first wrinkles skincare Nirvanesque® range, designed for the appearance of first wrinkles is perfect for this. With ingredients of Peony and Blue Lotus seeds - it effectively relaxes and smooths your features. It’s incredibly important however, to use anti-ageing skincare suited to your skin type. If you have normal skin or oily skin, you may find some skincare overcompensating when it comes to hydration which may lead to acne build up and breakouts. Or if you have dry skin you’ll need a more intensely moisturising product which is why you’ll find formulas tailored to specific skincare types among our skincare ranges. As we enter our forties, our skin becomes far more sensitive to the effects of ageing. Collagen production decreases rapidly, and as a result our skin starts to lose elasticity and wrinkles appear deeper. Therefore it’s time to find a cream which stimulates the production of vital proteins in order to fill established wrinkles and improve firmness. At NUXE the key ingredient we champion for this is Daylily Oleoactif, found in our anti-wrinkles skincare Merveillance® Expert Range. The Asian Daylily flower and the Mimosa of Constantinople, contained in this range formulas, target the 3 key proteins in the skin's youthful beauty. Using a skin anti-ageing care both morning and night is incredibly important at this age. Use products that are tailored to each time of day with a richer cream at nightime, a crucial time for skin regeneration. Apply our Merveillance® Expert Anti-Wrinkle cream or night cream following application of serum to lock in hydration and encourage optimal smoothness. Skin will appear firmer as if lifted and reniewed after committing to a daily routine. Most women experience the menopause in their early fifties, which has huge effects on the condition of our skin. As our oestrogen levels drops, our skin’s barrier function and ability to retain water and oil are highly impacted, leaving our complexion seriously dry and dehydrated. This combination only enhances the visible appearance of deep wrinkles alongside increased dark spots and a duller tone in the skin. 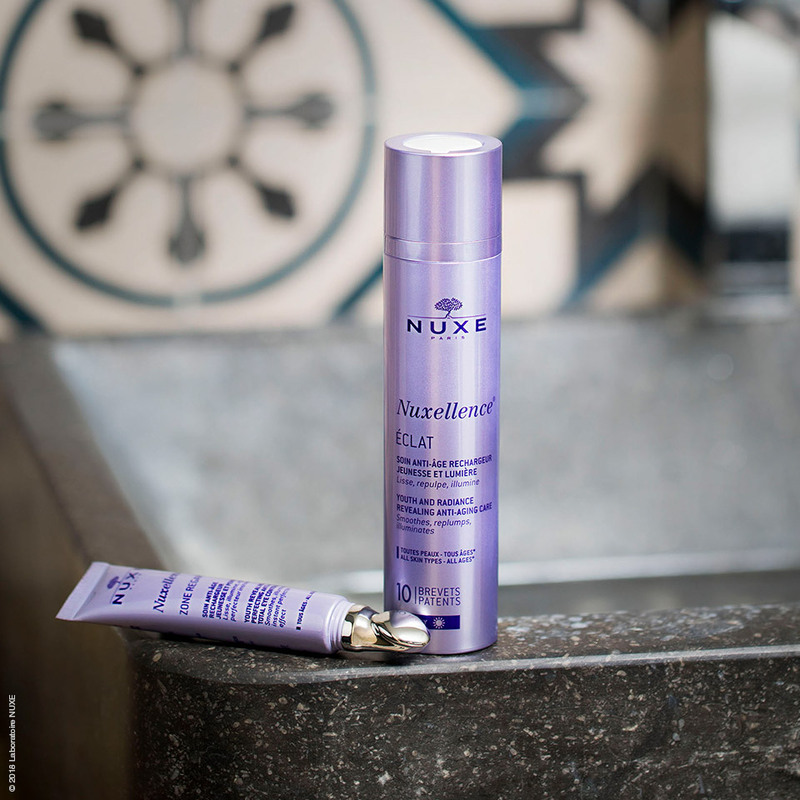 Much richer and intense formulas that penetrate actively into the skin should be used at this age and our anti-wrinkles skincare range Nuxuriance® Ultra is just this, using Bi-Floral Cells from precious Saffron flower and Bougainvillea cell to fill deep wrinkles. It targets the basal layer of the epidermis to help renewing the skin and rejuvenating its appearance. As well as layering on our creams and serums from the range as part of a daily routine, try using our anti-ageing roll-on mask twice weekly to help smooth the skin and reshape facial contours. To combat increasingly visible dark spots, use our Anti-Ageing Cream SPF 20 Nuxuriance® Ultra to both prevent and beautify the tone of your face. Dark spots also start to show more visibly on our hands; regularly use a targeted, nourishing hand cream such as our Anti-Ageing Hand Cream Nuxuriance® Ultra to replenish and brighten the skin. It’s time to start putting your anti-ageing routine together! 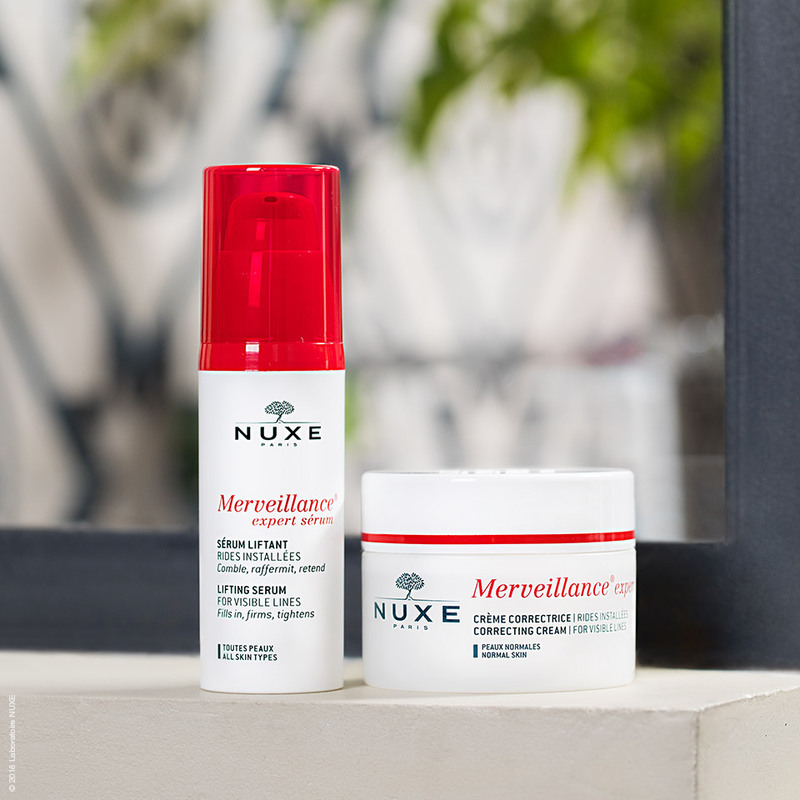 Find each tailored skincare range on the Nuxe site.